Utility trash containers are designed to function in multiple settings. myBoelter offers a many different trash container options from two leading foodservice manufacturers—Rubbermaid® and Carlisle®. Containers have smooth inner surfaces, and rounded edges and corners for easy cleaning. Plastic constructions means they won’t chip, rust, or dent. Rims are designed for structural support and durability. Fire resistant trash containers are perfect for operations requiring an extra degree of protection, including schools, hospitals, and hotels. 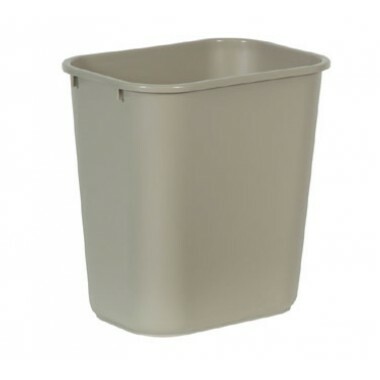 Utility trash containers are a necessity in various locations in your operation. Whether you’re looking to put them under desks, in conference rooms, at registers, or host stands, we can help you find the right fit and keep your facility clean.